I've been using this phone for 2 months. It's a great piece of technology to get your hands on. It has a great battery life. 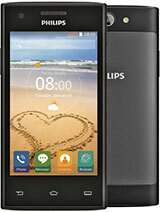 But some features are dissapointing if you are into personalizing the phone. It has only 2 themes. And the wallpapers don't occupy the whole screen. But still I recommend this. 1- some1 said dat u can only haf 5 of your own made ringtones, is it true? 3- and last but not da least, does it have games and can more games be downloaded for it? sofia, 02 Feb 2009hello guys........ i am really excited that my company will give us this kind of phone........... morethe x800 camera is clear when your hand is not move, i am in hong kong, buy one day @ hk$1580. 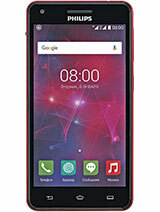 this is the next mobile of my nokia 5800, because 5800 refund to nokia care. hello guys........ i am really excited that my company will give us this kind of phone.......... can you tell me whats good in this phone....... im really excited about it......... thanks........ is the camera are clear? bec im more on taking photos all the time... how about the music...? what can you say about the sounds.. pls tell me..... email me in sofia_0422@yahoo.com for your answer or comments and suggestion pls. Anonymous, 15 May 2008 Type TFT touchscreen, 256K colors Size 240 x 400 pixels (Wide QVGA), 2.9 inches - Scree... morewhy fo you say so??? emboy, 09 Dec 2008ahim, I am planning to buy this x800 too. 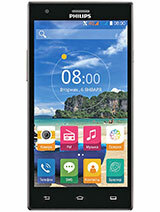 can you tell me if you can recommend this phone? ... moreEmboy, I recommend to use this phone for normal use because the battery is quite strong. I live in Indonesia . ahim, 09 Dec 2008I had just bought this phone by online YesAsia.com on 22-Oct. 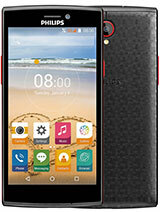 It is wonderful phone, but some... moreahim, I am planning to buy this x800 too. 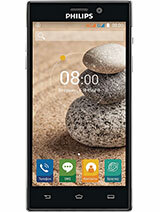 can you tell me if you can recommend this phone? how do you like the phone and is there any more problem that you encounter? what country are you at? I had just bought this phone by online YesAsia.com on 22-Oct. It is wonderful phone, but some features as described in many advertise saying that the screen is able to both portrait and landscape mode. The fact is the screen is portrait and unable to be changed to landscape mode. Beside that language available is for Chinese and English, some brochures said that Indonesian language is available. How to add the language as I mentioned. Last, how to customize or add Network or Service Operator on the Network List. I bought this phone but I couldn't view the web pages that I could view with my old SonyEricson. I contacted Philips customer support. They told me that x800 do not support wap 2.0 , on the contrary the information on your website. Philips can't make a good phone with the latest feature,their phones only for call n sms...looks at other manufacturer!Philips phones suckkk! The xenium X 800 is a fantastic phone. One question I have is whether you have the device/applications also in dutch text. 1) You can assign ringtones and group profiles to individual people. 2) The phone isn't running on Windows Mobile. You can install java apps only. Hello. I'm interested in this phone but few things are unclear to me. First is it possible to assign ringtones and pictures to individual contacts. 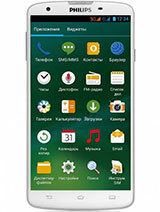 Second what is the OS of this phone and is it pssible to install applications like Skype and Yahoo GO.Third is it possible to control playback of songs with the side volume keys while the screen is locked. SE has that function on all their phones - to skip forward or backward by holding the volume buttons. Total of 115 user reviews and opinions for Philips X800.